German Chamomile, Ginger, Ylang Ylang, Lavender, Black Pepper, Nutmeg, Juniper Berry, Rosemary, Sweet Marjoram, Helichrysum, Vanilla, and Neroli in Jojoba and Fractionated Coconut oil &/or MCT. 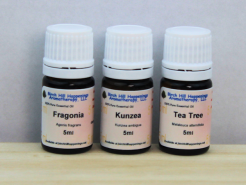 This is a 3.5% blend of essential oils in the carrier oil blend. This is our First Formulation BLEND tested by and used by folks with muscle involvement ailments such as: Fibromyalgia, Rheumatoid Arthritis, General Muscle Pain, Acute injury and chronic injuries to muscles. She has Fibromyalgia and Arhritis in hips & legs. 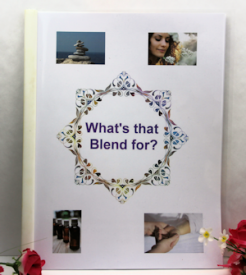 "I loved the Muscle Relief Blend! The smell is great & it was fantastic at relieving my aches & pains in my hips, knees & ankles. It also worked on relieving the pain in my fingers & hands after using it on the other pains. I will definitely be buying this product in the future." So far we have received very good results/comments and most have been close to 99% positive!